We were born to organize! Everyone on this earth has a specific life purpose, skills and talents to make this world a better place. A very wise and loving man named Jesus said, “Each one should use whatever gifts he has received to serve others, faithfully administering God’s grace in its various forms.” Here at Major Mom; we hire men and women that are passionate and skilled at decluttering, organizing and setting up systems for moms and their families. The founder and CEO of Major Mom®, Angela Cody-Rouget walks her talk. She has two decades of training in order management. She served in the U.S. Air Force for 13 years (8 years active duty + 5 years in the reserves + 4 years in AFROTC) and thrives in orderly environments. Orderly does not mean rigid or inflexible! Orderly means that you have room in your brain to think about important things. Angela was born to organize and her years in the military taught her how to create systems and order for the masses. She wishes everyone knew how good it feels to have an organized home and office. Angela attained the rank of Major in the USAF and her husband, Frederic, nicknamed her Major Mom after their first child was born. 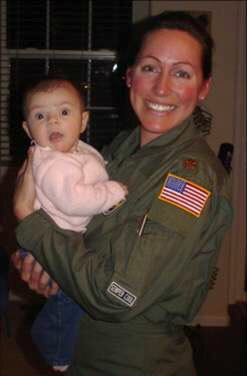 Angela would return from a long weekend of reserve duty and Frederic would hand her baby Lily and say “Yeah, Major Mom is home!” Angela has been called Major Mom since December 2003. After her second child was born, it became more difficult and sad to leave her babies for long weekends and two weeks a year. It was also very inconvenient to pump breast milk and try to keep it cold until she got home. Most of the other soldiers didn’t mind if she had to leave a meeting or quickly pump, but it started to bother Angela that she was torn between two loves: her family and the military. 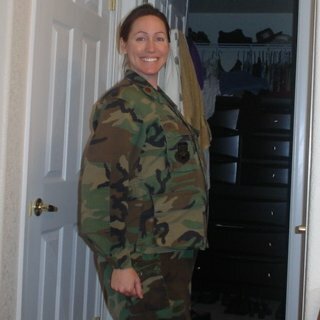 After much consideration and thought (or possibly during postpartum depression says her husband and family), Major Cody resigned her commission with an honorable discharge. She has never regretted her decision to be a full-time Mom and one thing that she definitely learned was how hard it was to maintain an orderly home with a baby and a toddler. As she joined mommy groups and play groups she witnessed how hectic a stay at home mom’s life is and how isolated one can feel. She started to grow a big place in her heart for moms and their busy families. These moms were the inspiration for her idea to start an organizing company. God knows these hard-working moms and dads deserve help. Many of us no longer live next to Grandma and Grandpa or aunts and uncles. Many of us are all alone and not sure who to call for help. Angela wants to make sure that everyone that struggles with clutter and chaos knows who to call for help—MAJOR MOM. Angela worked as a solo professional organizer for three years, yet her vision for Major Mom grew to a grander scale. The Major Mom vision is to be the most recognized and respected organizing firm nationally and internationally. Major Mom aims to be of great service to busy families. The company also aspires to provide rewarding careers for men and women who are passionate about organizing and serving families. In 2009, Angela brought a partner to the Major Mom team—-Mandy Pinkston. In October 2009, the Major Mom Training Academy was opened. They have trained 60 apprentices via academy classes as of March 2016. They currently have 32 fabulous Liberators (Professional Organizers) serving clients in Arizona and Colorado. Go to the careers tab on this website for more information about becoming a Major Mom Liberator. The Major Mom team is comprised of professional organizers who are highly skilled and well trained at de-cluttering and setting up customized, achievable and sustainable systems in various types of households. Their mission is to restore order and serenity to homes and home offices. To the Major Mom team, creating order does not mean being rigid or inflexible! Having order means that you have room in your space, your mind, and your calendar for the things that are most important. Major Mom wants families to experience the joy of living and working in organized and beautifully arranged environments. They use their proven systems and processes to make each client’s goals become a reality, and most importantly, they make organizing fun and they get the job done faster than anyone!